BOWLING GREEN, Ohio – AIM Media Midwest, LLC, the parent company of the Washington C.H. Record-Herald, announced Monday it has acquired the publishing assets of The Sentinel Company, Inc. of Bowling Green, Ohio. Terms of the transaction were not disclosed. 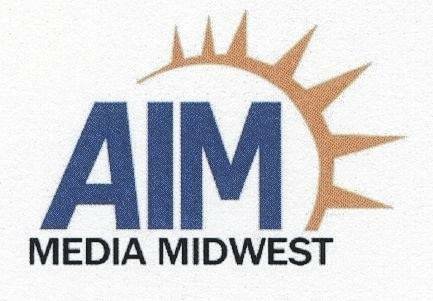 In conjunction with the transaction, AIM announced that Karmen Concannon, Publisher at the Sentinel-Tribune, will remain in her current position with AIM. The publication and affiliated website included in the transaction are the daily newspaper serving Bowling Green and surrounding Wood County, the robust website www.sent-trib.com and a variety of other specialty and periodic publications. “The Sentinel Company has long been one of the most respected and admired local publishing and media companies in the United States,” said Jeremy L. Halbreich, Chairman and CEO of AIM Media Management. “The Haswell family has owned and operated the Sentinel-Tribune for over 118 years with Karmen representing the fourth generation of family ownership and her parents, Tom and Kathy Haswell, representing the third generation,” said Halbreich. “Through our sale process, we have had the great pleasure and privilege of becoming acquainted with Karmen and her parents. We have great admiration for the entire family and we are very flattered to have this opportunity to become directly involved with their important, high-quality, local journalism operation,” he added. ”The sale of the Sentinel-Tribune to AIM Media Midwest, LLC represents another milestone in our effort to provide the people of Bowling Green and Wood County with a daily newspaper of the exceptional quality they have learned to expect,” said Tom Haswell. “We will be watching with pride and confidence as AIM Media leads the Sentinel far into the future,” he added. AIM Media Midwest, LLC owns and operates 17 daily newspapers, 15 weekly newspapers, affiliated websites and a variety of related weekly and specialty publications in Ohio and West Virginia (one daily in Point Pleasant, West Virginia). The company is an affiliate of AIM Media Texas, LLC and AIM Media Indiana, LLC and both entities are managed by AIM Media Management of Dallas, Texas where Halbreich serves as Chairman and CEO and Rick Starks serves as President and COO.